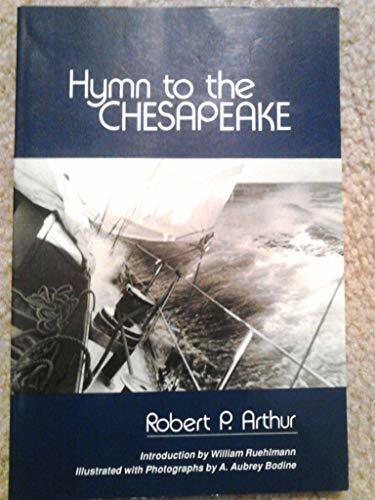 Hymn to the Chesapeake opened at the Trawler Dinner Theater on the Eastern Shore and has had over ninety performances in Virginia and Maryland, as well as performances in Washington, D.C., New York City, and St. Petersburg, Russia. Readings using material from the play possibly exceed the number of actual productions and include readings for libraries, museums, universities, colleges, and literary festivals, as well as the Poetry Society of Virginia and the Chesapeake Bay Foundation. The poem/play won Port Folio magazine’s Most Innovative Theater Award. For its creation, the author won the Christians in Theater Arts Award. This musical play has been adapted from the book Hymn to the Chesapeake, ROAD Publishers, 33412 Lankford Highway, Painter, Virginia 23420. The author uses fragments of actual conversations, traditional melodies, adapted lyrics from traditional songs, captions, etc. He also uses the works of various painters, photographers, and writers as inspirations for various poems. The literary works of William Warner have been used extensively and are often quoted. The Crisfield section is based on a chapter of Warner’s Beautiful Swimmers. The known composers whose works have been adapted herein are Gordon Bok (Clear Away in the Morning, Mrs. MacDonald’s Lament, and Saben, the Woodcutter), Les Dwier (Sadness and Divorce, Death, and Symmetry), Dodie Welsh Paris (Ladies of the Bay), Andy Stewart (Blackbird, Golden), Bob Zentz (Companioned by the Sea), Chris Van Cleave (Emmanuelle), and William Whiting and John B. Dykes (Eternal Father). In some cases, the author has not been able to identify the sources of the music adapted. The introduction and arrangement of Leave Her Johnny, Leave Her have been adapted from a recording by The Virginia Company (Blow Ye Winds). Transcription and many arrangements are by Patrick Belote, Judi Beck and Carin Cowell. Judi Beck first conceived of this project and has been both a driving force and a font of ideas in regard to its completion. Bruce Jones greatly assisted with the plotting. Also offering valuable advice and direction were Gray Arthur, Ann Louise Johnston, David Poyer, Lenore Hart, Elizabeth Arthur, Donna Robinson, and Joseph Adams. First presented by the Trawler Dinner Theater under the direction of Judi Beck August 1995 in Exmore, Virginia with the following cast: Larry Lovelady, Marilyn Kellam, Laura Trala, Robert Oliver, Jim Turner, Sherry Belote, and Robert P. Arthur. Guitar by Bruce Jones and keyboard by Patrick Belote. WE SHIP DAILY (Mon - Fri. Shipping costs are based on books weighing 2.2 LB, or 1 KG. If your book order is heavy or oversized, we may contact you to let you know extra shipping is required.